The word 'Pol' is derived from a Sanskrit word 'Pratoli' . 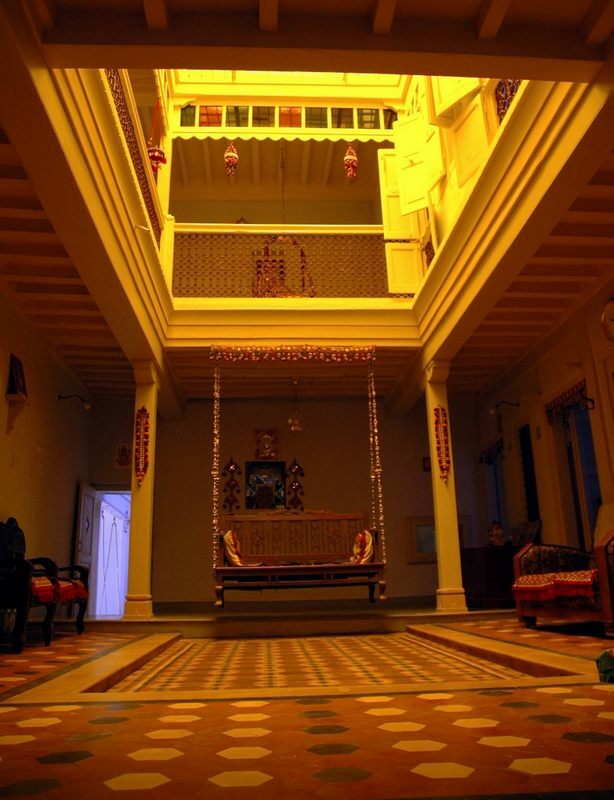 The 'Pols' were known as 'Pada' in the Solanki period. 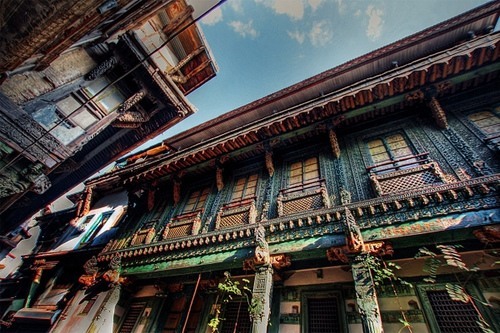 It is said that when Sultan Ahmed Shah found the city, he stayed in the pol in the beginning.This pol was known as 'Mahurat Pol', which is now in Manekchowk. These pols are the real indentity of Ahmedabad. 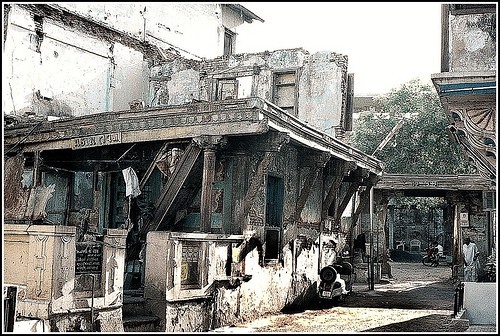 Without proper knowledge of the pols, our knowledge of Ahmedabad is incomplete. In the old documents, names of Dhinkawa Chowky, Haja Patel's Pol, Nisha Pol, Bhanderi Pol etc. are mentioned. The construction of new pols continued and even increased during - Maratha Rule. Many pols were constructed during the years 1760 to 1818. The number of pols constructed during this time was 360. The city has many big and small pols ranging from six house pol (Ghar-ni-Pol) to pols having about 3,000 houses (a big settlement). 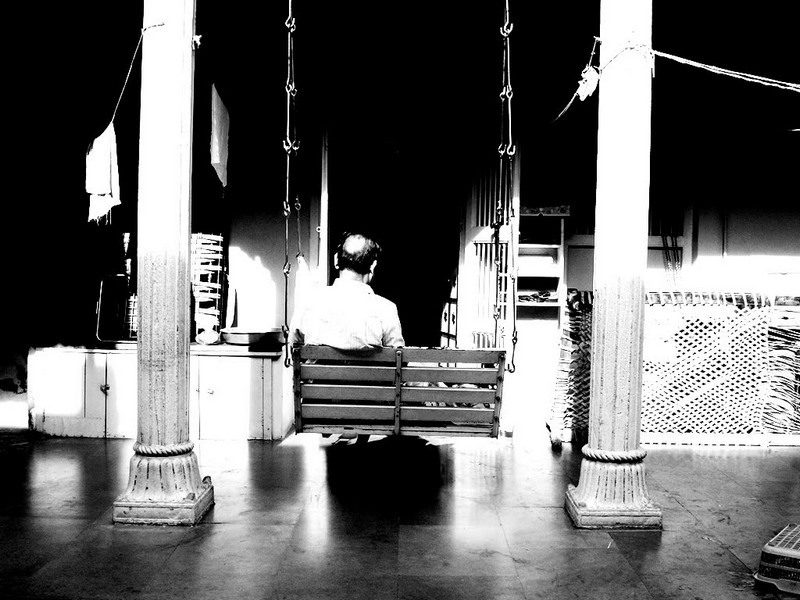 The biggest pol of Ahmedabad is known as Mandavi-ni-pol. 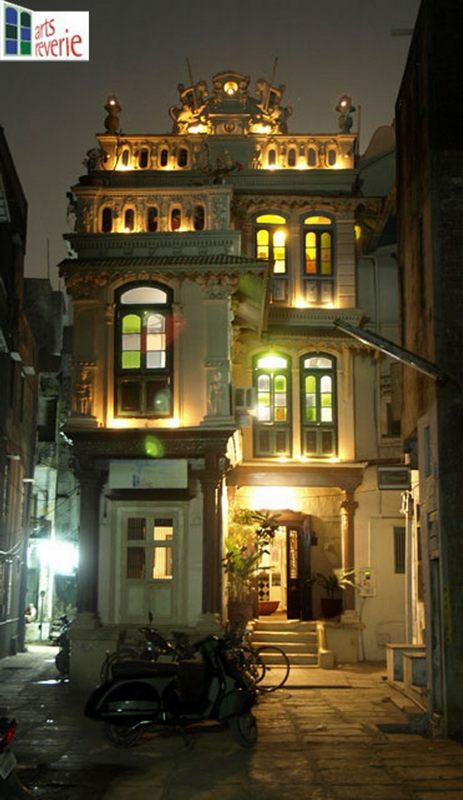 At present, there are about 60,000 houses in 600 pols of Ahmedabad. The pols have big entry gates. At the time of difficulty, people used to employ watchman. His residence used to be in the Madh of the pol. Some pols are so narrow that you can easily shake hands from your house with the people living in the opposite house. There are many such pols where you can go from one pol to another pol very easily. Time works in its own fashion. The pols of Ahmedabad which are like living legends, have started converting themselves. Mandavi-ni-Pol, the major pol of Ahmedabad is converted into utensils market. There are factories to refine silver at Sankadi Sheri. Dhana Suthar's Pol is converted into electric accessories market. Padshah's Pol is converted into cloth market. We find cloth stores in Raipur Chakla area too. There are many complexes of engineering and leather works on Gheekanta road. The pols which were like living legends are now vanishing. 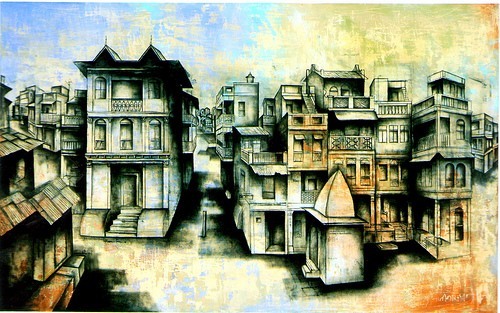 The construction of the houses in the pols is like a one which is found in the towns of north Gujarat. The houses have peculiar construction with khadaki, entrance and the open space.There is an otta (otla) outside the house. At main gate, you will find some open space inside which is used to put things like traditional cots etc. Then there is a space open to sky called chowk. The rainwater falls in the chowk. 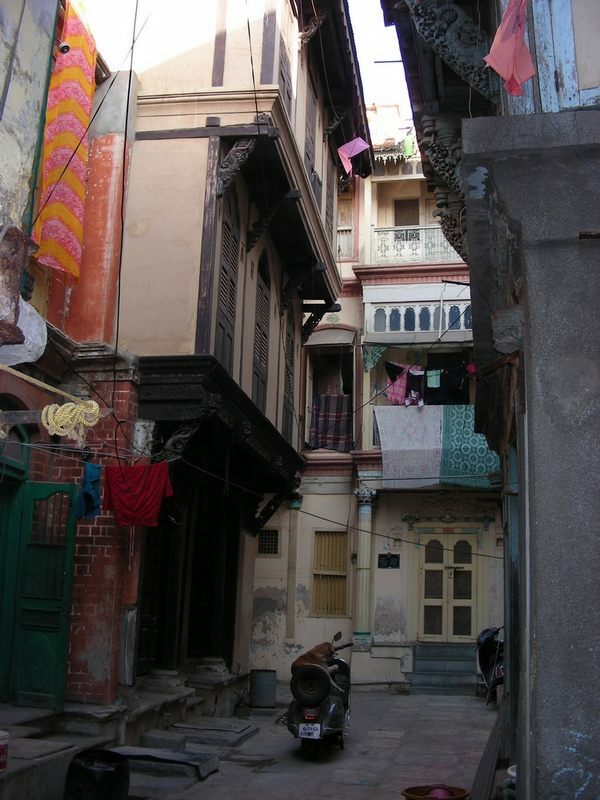 The chowk and parsal are the peculiarities of the houses of the pol. There is a central hall-orada where you can find Paniyara (Matka Stand). 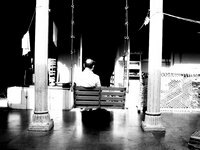 In the Parsal there is a place where the housewife can cook in sitting position. 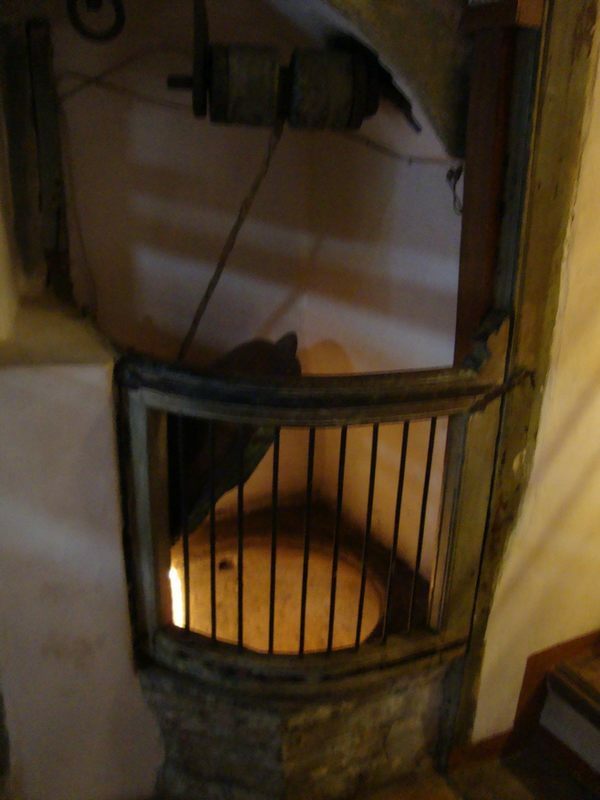 There was a provision for chimney (Dhumadiyu) over the fireplace (Chulha) as outlet for smoke of the kitchen. Then you can see a big room with two small ventilators. In the houses of rich people, particularly houses of Nagar community, we can see the swing (hinchko). 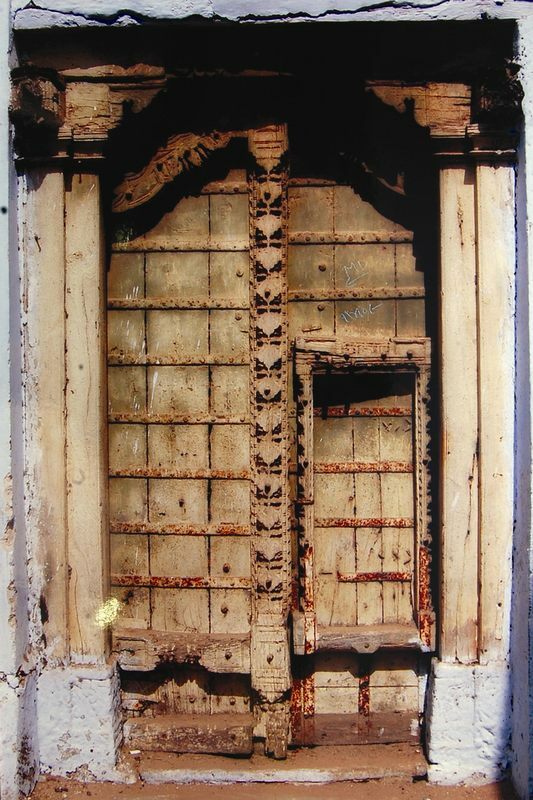 There is beautiful engraving on the wooden frames and the shutters of the cupboards as well as the door panels. 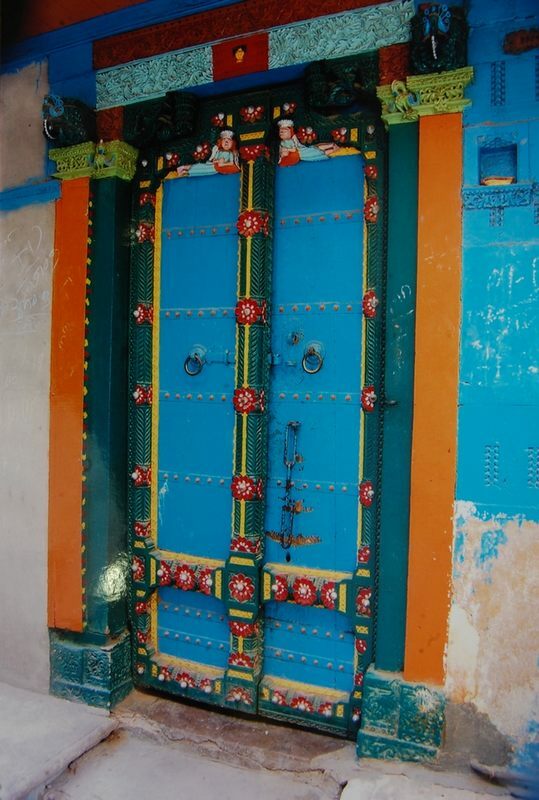 Each door frame has a todla, a large wooden peg driven into the wall, and a recess in the wall beside it. The small recesses or holes in the wall were used for placing lamps. The big recesses in the wall in the inside hall were used to keep things, clothes etc. 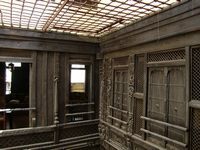 As there was shortage of drinking water, big water tanks were made in the house to preserve rain water, so that the preserved water can be used in the time of need. When the waterwork started in the city, these underground water tanks became useless. Residents filled up these underground tanks. Even today, we may find such water tanks in some old houses. 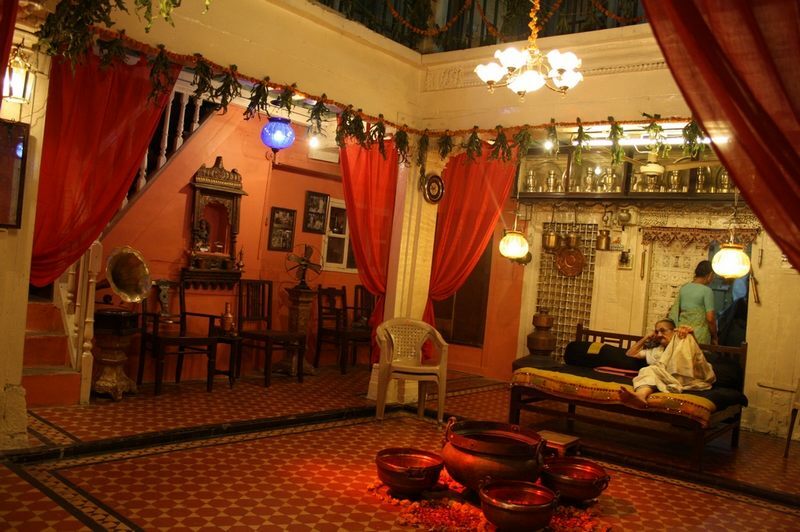 Mota Suthar Vado is an excellent neighbourhood to explore the pol culture. 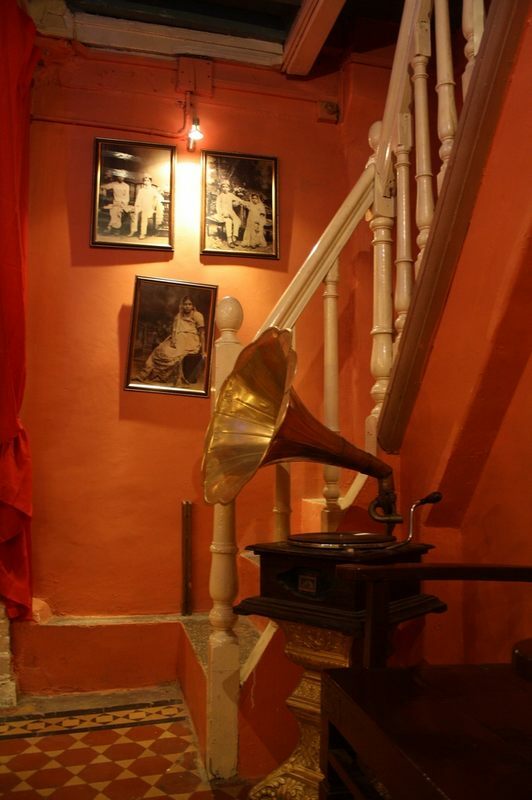 You can observe it at Jagdip Mehta's heritage house. 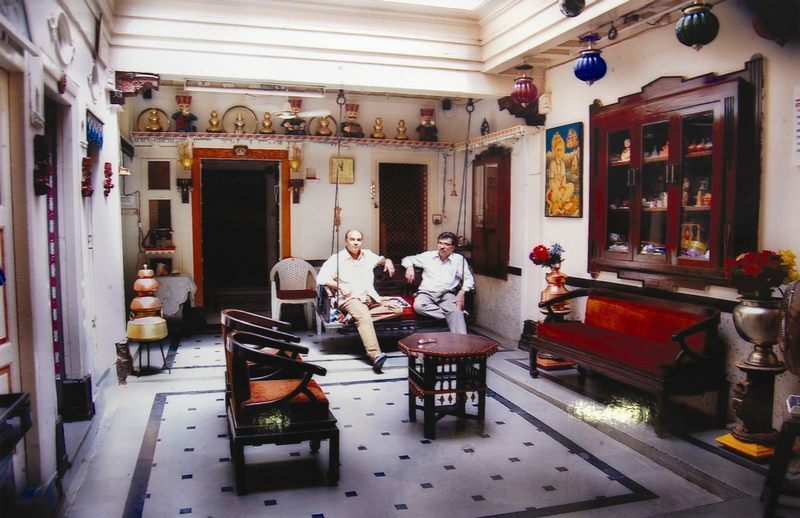 Himanshu Mehta's heritage house has a back ground of freedom movement. 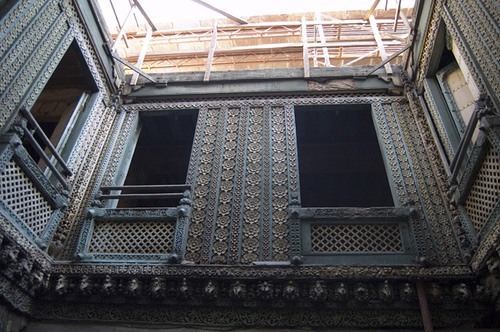 Jethabhai-ni-Haveli at Dhobi-ni- pol reminds us of ancient charm. 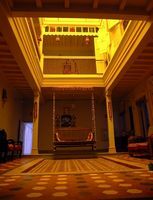 Art Reverie is a heritage house at Khijada Sheri, Dhal-ni-pol provides 'home stay' in the real pol environment for creative professionals. 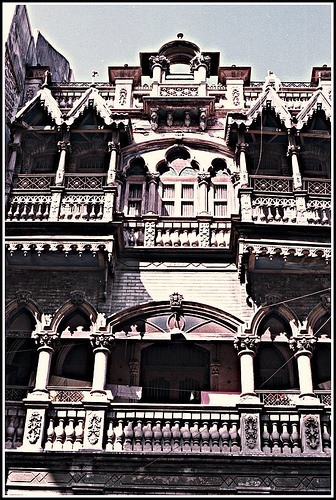 Big mansions of wealthy people are known as Havelis. 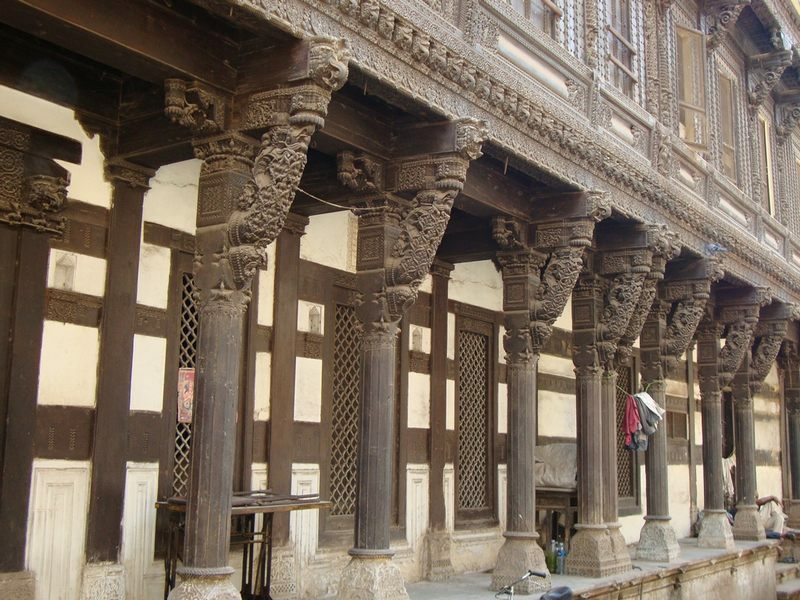 In the structure of traditional havelis, we find ground floor with single or double storeys. Normally one has to enter into Daheli, the entrance with open space first, in order to enter into the Haveli. The wooden entrance gate has beautiful,carving on it. It looks very exotic. 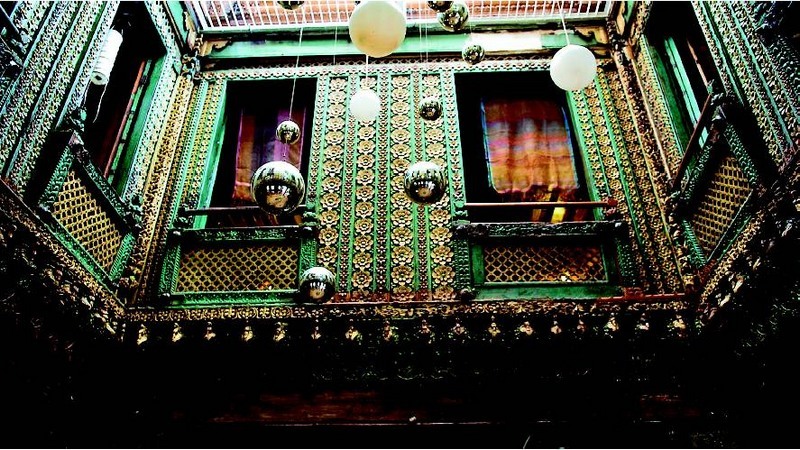 The entire structure of Haveli stands on wooden beams, pillars, roof structure and balconies. 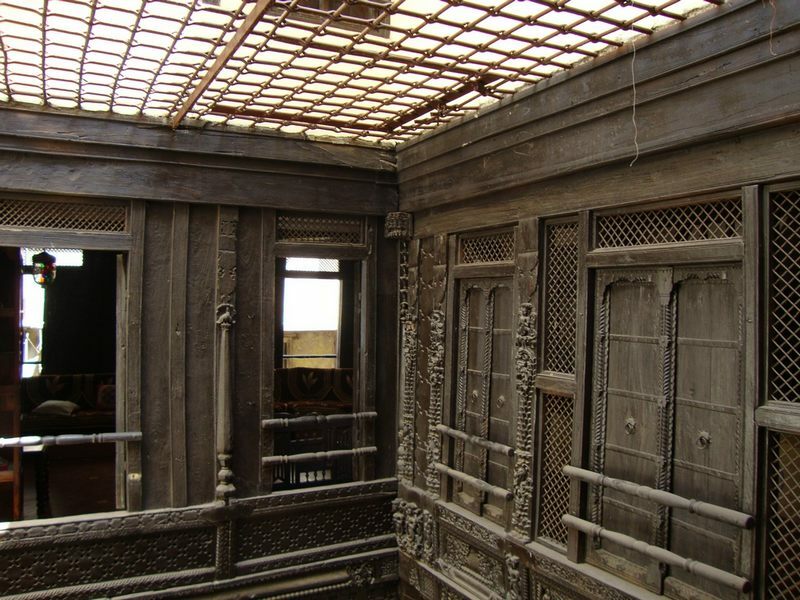 The balcony and the pillars supporting it, recesses in the wall, doors, large wooden pegs driven into the wall, etc. 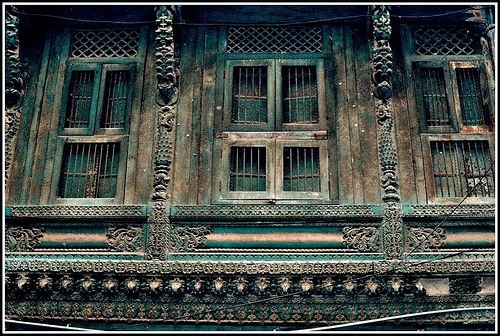 have carvings of geometrical designs or the designs of flowers/designs with sculpture. 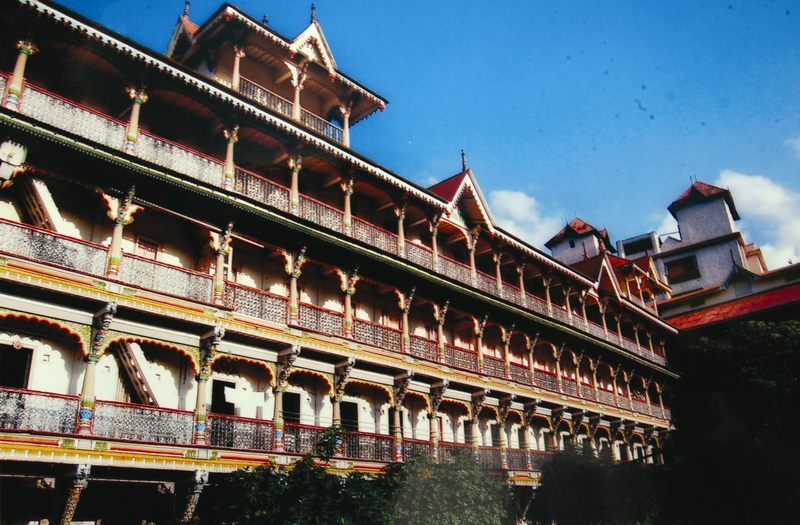 A number of tourists from the country as well as from foreign countries visit Manganbhai'sHaveli in Raipur. 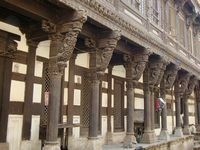 Hathisingh's Havili located in Patasha Pol and Gheekanta Road, Diwetitya'sHaveli in Sankadi Sheri and the Havelis of Doshiwada's pol are the best examples of this kind of architecture.